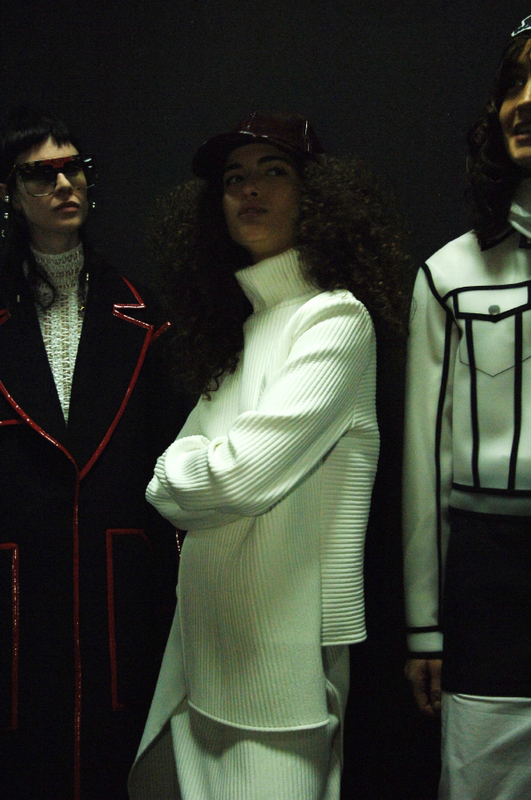 There was a hip-hop and cyber inspired atmosphere at the Wanda Nylon FW16 show. We could even imagine a new "Daryl Hannah" Blade Runner walking down the catwalk, dressed up in high red vinyl boots with a black cape and a pair of maxi shades. The warrior ladies are back!